Townsends Carpets on Birmingham Road has a well established reputation for quality, extensive range and value for money. 45 Years and still up for a twist! Charles has long been recognised by the industry as one of the foremost carpet experts in the retail sector. and wanted to make sure his website reflected his passion and design for quality. 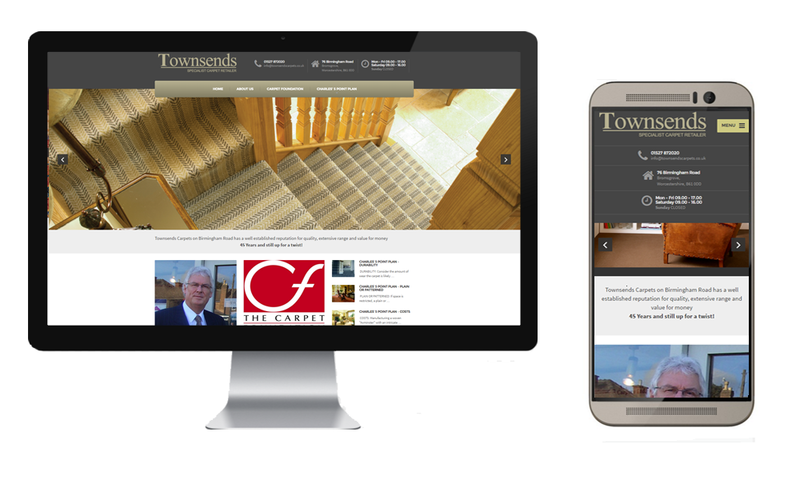 This site was perfectly suited to a WORDPRESS template to show off the colours and textures of the carpets whilst keeping the presentation simple and clean. As it is fully responsive It looks good and is easy to navigate on a mobile as well.